What Modi’s BJP Party can learn from the upheaval in Southern Europe. February is when the budget season heats up in India. The BJP has traditionally been a party that works well with the private sector. The BJP cannot afford to lose Bihar. Doing so will surely crack the aura of invincibility of PM Modi. There is one bright idea India’s finance minister should seize on - financial inclusion. February is when the budget season heats up in India. Ahead of presenting the Union government’s annual budget on the 28th, the Indian Finance Minister gets flooded with unsolicited advice. This time, the current minister, Arun Jaitley, is faced with a veritable tsunami of advice. In part, this is a consequence of the just concluded Delhi state assembly elections, which turned into a debacle for the BJP and Narendra Modi. BJP: A party only for the rich? The BJP has traditionally been a party that works well with the private sector. If viewed through a “zero-sum” filter, this strategy could be perceived as working against the immediate interests of the poor. Given the recent election results – and especially the upcoming state elections in Bihar, India’s third most populous state – the expectation is that the Finance Minister will stray from the hard path of economic reforms announced last year. He may resort to “populism” to placate the poor. Will Bihar drive the budget? The BJP cannot afford to lose Bihar. Doing so will surely crack the aura of invincibility of Prime Minister Modi. Some observers believe it is already dented by an ill-advised, last minute tactic in Delhi of pitting the Prime Minister against Arvind Kejriwal. This was a surprising choice, given that it was known as early as January 15th, when the elections were announced, that the BJP was unlikely to win. None of this political environment is of the Finance Minister’s own making. But it surely hampers him greatly in being bold, outspoken and visionary on economic reforms, as he has shown an inclination to be. 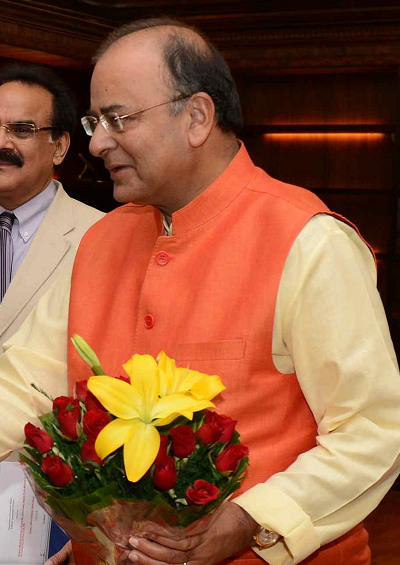 There is one bright idea Arun Jaitley should seize on — financial inclusion. The Prime Minister’s People Money Scheme – known as the “Jan Dhan Yojna” has opened 125 million new bank accounts during the last few months. However, the bulk of these accounts remain dormant. Even so, this is a good scheme. Recent work, including by Thomas Piketty, illustrates that personal wealth is the biggest asset in incremental wealth creation. Why not extend it, albeit in a small measure, to the poor also? “Dhan” (wealth) is an asset, something you own. It is a pre-condition for wealth creation. Why not open bank or Post Office accounts for the poor also? Of course, the poor have no surplus to put into a bank. But the government can fill this gap by depositing Indian rupee 10,000 ($164) into each of the bank accounts of all “poor” account holders as a 10-year fixed deposit. To avoid any abuse, only the interest income would be available to the account holder until maturity. To narrow the financial impact of the scheme initially, only poor women and poor senior citizens (i.e., the most marginalized of the poor) could be made eligible. Fiscal fundamentalists will deride this measure as irresponsible in an environment when subsidies in India have to be contained, if not reduced. There are two reasons why their apprehensions are unfounded. First, the small value of the deposit and its unavailability for withdrawal for 10 long years reduces the attractiveness of the scheme for would be scammers. The annual interest earned of Rs 800 or $13 (at 8%) per account is not enough to attract fraud, but sufficient to keep a genuinely poor person interested in the account as a source of additional income. For the Bank, this provides a pool of valuable long-term resources for Treasury operations. Second, the fiscal outlay, while significant, is not unmanageable. The likely pool of “poor” women and senior citizens would be around 200 million. If full coverage is targeted over a three-year period, an annual budgetary allocation of around Rs 700 billion ($11.3 billion, equaling only 18% of the existing aggregate allocation for subsidies) would be required. The spread effect, both political and economic, is hugely significant. In comparison, India’s Union government alone spends an estimated Rs 4 trillion ($66 billion or 4 % of GDP) on subsidies. Much of this outlay is either lost in transit to the beneficiary or the targeting of the subsidy is so vague (fertilizer and energy subsidies) that it benefits the poor only marginally. A “wealth and income transfer” scheme aided by the Unique Identification mechanism, where available, is likely to be more efficient and effective. The recent developments in Southern Europe and now in Delhi should convince Mr. Jaitley that “demonstrated equity and inclusion” as a “brand” is in. Citizens do appreciate a tough “reforms” stance. But it must be balanced by effective instruments for income transfers to the poorest of the poor.